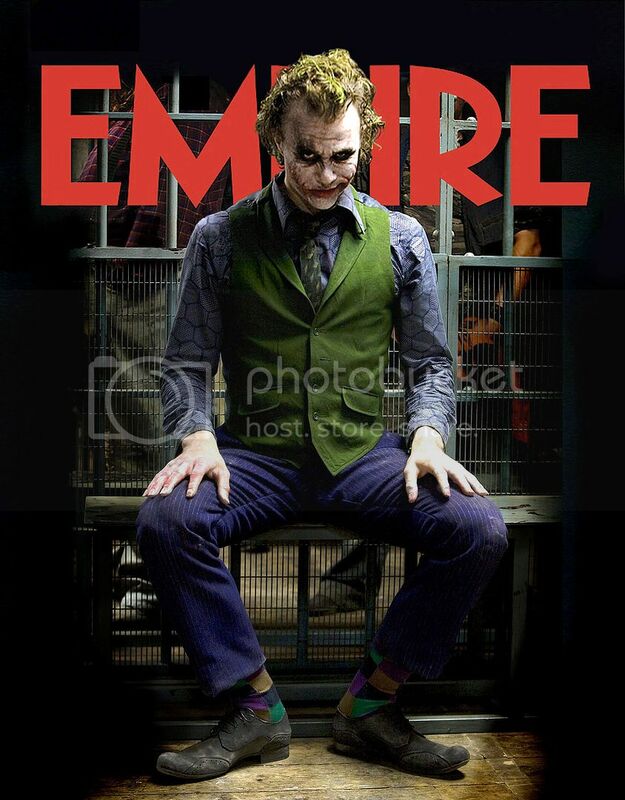 Remember my last post about the Empire Magazine Cover featuring Heath Ledger as Joker. Here is a new version of the photo. Much bigger and with lesser text (the "EMPIRE" Text behind Joker). I know the raw photo is out there somewhere. Keep posted for latest update. my photobucket account is only down and Photos will be available in the 17th.